"I guess under the right circumstances, a man will do just about anything." Malcolm Banister is currently in his fifth year of a ten year prison sentence for financial crimes. He was a lawyer who got caught up in a misunderstanding that resulted in his convictions. Despite his professions of innocence, an over-eager prosecutor made sure that Malcolm would serve a full sentence. Not long after the conviction, he was disbarred and his wife divorced him, remarried, and cut off all contact with his son. Throughout his incarceration, Malcolm has turned his legal prowess into a service for his fellow inmates. He tirelessly looks for any angles or legal loopholes to help his peers reduce their sentences or overturn the charges altogether. When news of the murder of a federal judge reaches Malcolm, he decides to turn his legal services to his own case. One of the inmates that Malcolm helped confessed to the murder of the judge. He decides to use this knowledge to leverage his own release from prison. The only problem, is that in ratting out the other inmate, Malcolm puts his own personal safety on the line. Is an anonymous life in witness protection any different from living in a cell? Is there any way that Malcolm can achieve complete freedom? During a recent interview, John Grisham explained how he chooses topics for his novels. Sometimes he chooses a social topic that he wishes to write about and forms a story around it. Other times he simply tries to write an entertaining story. The Racketeer manages to do both. Grisham sheds some light on wrongful convictions and injustices of the prison system, while providing an entertaining thriller that is one of his best in recent years. Malcolm's quest for freedom takes readers on a journey that challenges predictions and spans the globe. 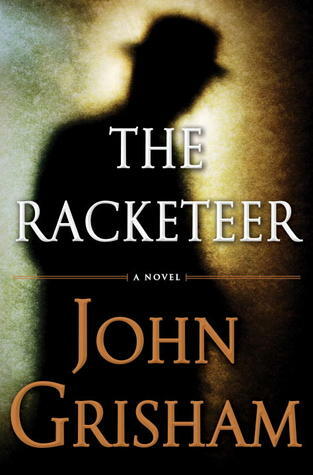 The Racketeer is the kind of novel that illustrates exactly why Grisham is one of the most successful authors working today. This entry was posted on Tuesday, April 4, 2017 and is filed under Book Review,Crime,Fiction,John Grisham,Justice,The Racketeer. You can follow any responses to this entry through the RSS 2.0. You can leave a response. It has been too long since I devoured a Grisham book. The Racketeer sounds well done. I love how he makes the reader aware and talks about issues through his stories. He does so smoothly and forces readers to think. Great review. It has been very long for me. This was my first Grisham novel since I started the blog in 2012!